I don’t know about you guys but I’ve been completely instagram-obsessed the past few weeks with all of the New York and Milan fashion weeks going on. Its so much fun to check out the snaps from the runway and also the major street style going on outside of the shows. One of my favorite aspects of fashion week is how someone can kick an outfit up a notch with accessories to really make it their own. Today I opted for that vibe and added some metallic accents to my black and white look–a vintage pin, silver cutout heels, chain bag–to give it a whole other spin. And like any street style girl, I put on the finishing touch with smooth silky curls thanks to TRESemme Keratin Smooth and my Sultra curling rod. 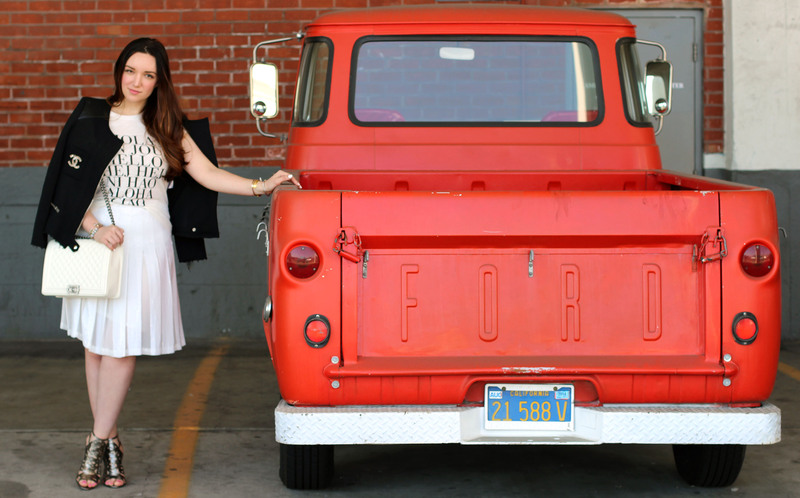 If you’re constantly inspired by the styles and fashion coming off the Red Carpet…then I have a surprise for you! 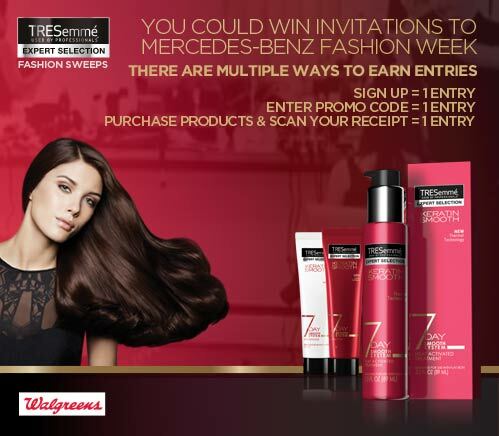 TRESemme and Walgreens are ready to send a VERY LUCKY Just Add Glam fan to the September 2014 Mercedes-Benz Fall Fashion Week! Enter for a chance to win a $4,500 AMEX gift card plus two invitations to Mercedes-Benz Fall Fashion Week! Want to earn more points? Purchase any TRESemme product at Walgreens and upload your receipt (either a photo or scanned image) to the area “SNAP” area in the sweepstakes platform to earn more points and increase your chances to win! I’m so excited to be sharing this with you and wish I could enter myself…but maybe if you win I can be your guest to come along with you…wink wink? Good luck! Get an exclusive peek at the latest in fashion with TRESemme at Walgreens and learn how to recreate your favorite styles and get a sneak peek of the latest trends right off the runway. Visit YouTube.com/TRESemme to get your expert hair care advice. The contest runs until March 9, 2014…good luck! love to win the amex card. 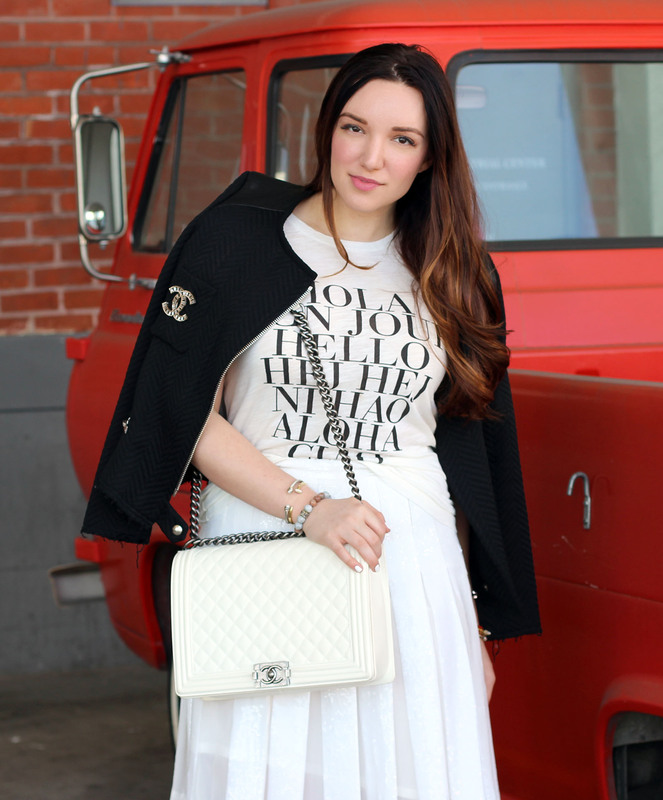 Absolutely love your outfit! 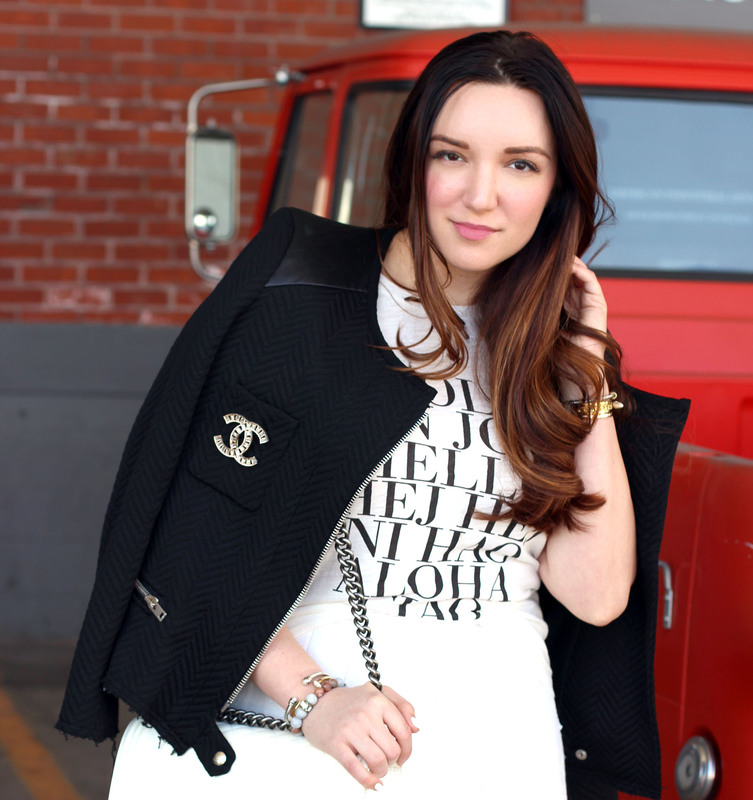 I am a big fan of the B&W and I LOVE Your jacket! I am entered, thank you for this opportunity, cheers!! DARN! I JUST bought some travel sized TRESemme hair gel at Target the other day! Then, I saw it at Fred Meyer for 30 cents cheaper, and now I find out I could’ve had a chance to go to some fashion week! Argh!